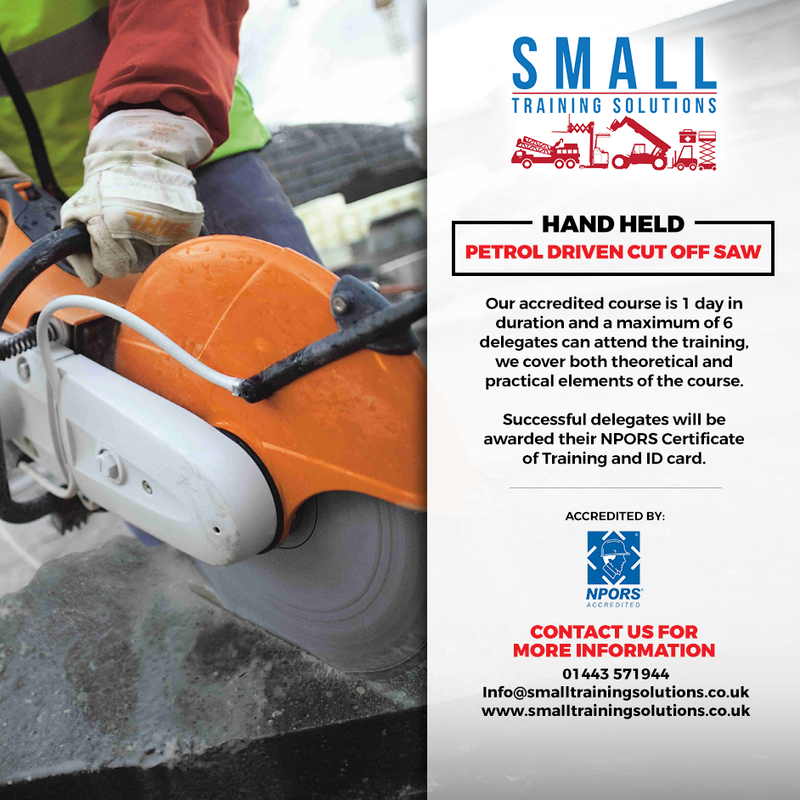 This course is designed for delegates who are required to operate a range of petrol cut off saws in the workplace and covers the theory, safe fitting of the wheel to the equipment and practical cutting tasks. This hand held petrol cut off training course has been designed to help users identify, select, inspect and fit all varieties of wheel on a variety of hand held cut off saws and understand any legal application. The practical session includes choosing, inspecting and fitting the wheel for a specific task. Introduction and Aims, Legislation & Guidance, Types of Wheel, Types of Cut Off Saw, Wheel characteristics & cutting action, Wheel composition & marking system, Wheel & spindle speeds, Inspection, handling, storage & transport, Personal Protective Equipment, Wheel components, Hazards / Risk Assessment, Fitting of a wheel. Delegates are required to demonstrate their competence by passing three separate tests. The tests consist of a pre use check, associated knowledge test and a practical test of operating skills. Successful delegates will be awarded their Certificate of Basic Training which is valid for a period of 3 years. A Certificate of Training and ID card will be awarded to successful delegates, the course is accredited by NPORS.